I grew up playing board games with my family, and have continued to do so with my own children. My niece will come over and play them with us as well, it's something we really enjoy. Most years at Christmas we add a board game to our collection. 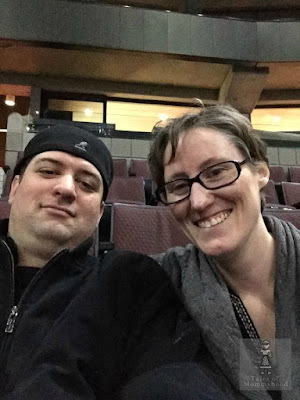 They are fun and you can find some that are pretty educational. Goliath Games/Pressman Toys has some great options. They have something for every age group. 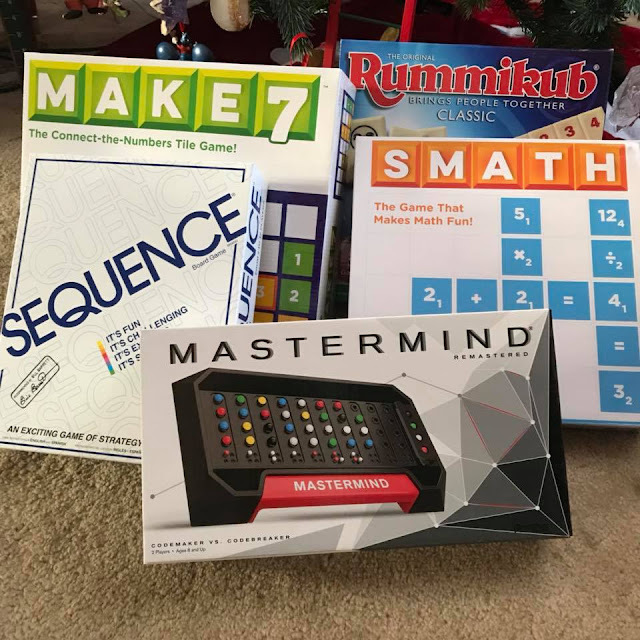 This year, they sent me a selection of games (some of which we already own and love - Mastermind and Rummikub), and some that were new to me (Sequence, Make 7 an SMATH) There is a bit of a twist though. We didn't keep the games. We gifted them to the school my kids attend. I brought them in and gave them to the principal, and she was so thrilled. They are a great way to keep the students entertained and occupied when inclement weather calls for indoor recess, and also a way for kids to spend time if they finish their work early. Our school also has a games club that meets at lunch time once a week, so they have the option of using them for that as well. 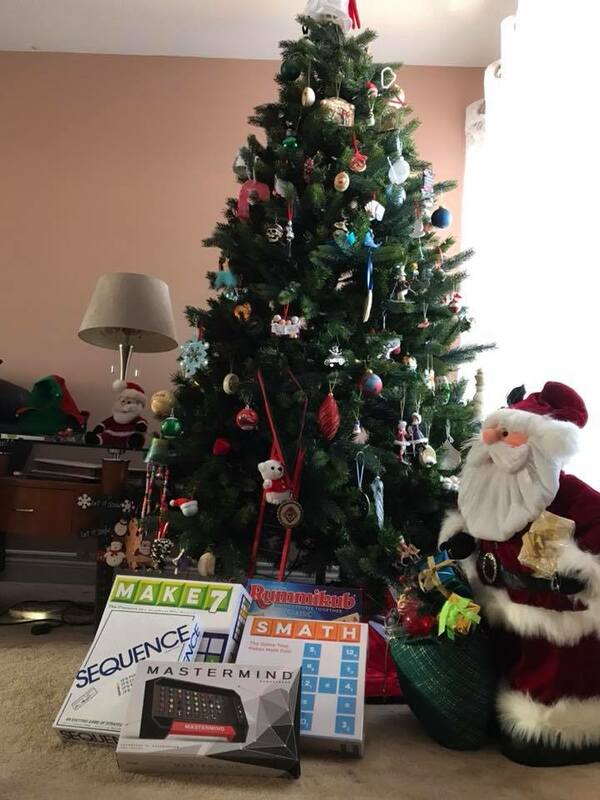 A lot of families send in gifts to teachers at this time of year, if you are looking for something a bit different, you could pick up one of the games to drop off. 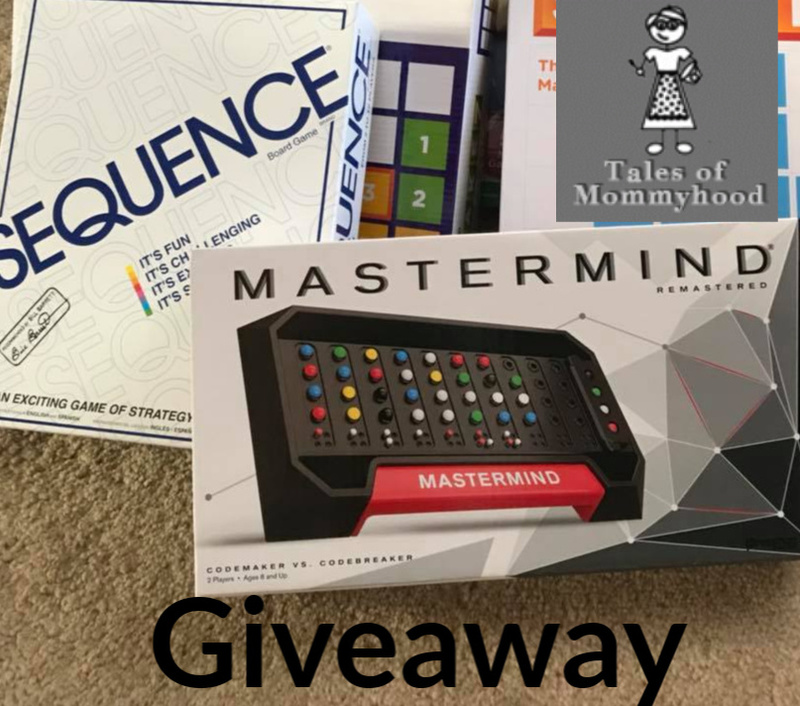 Now for the fun stuff - they are offering up a package of 2 games for me to giveaway to one lucky Tales of Mommyhood fan! The pack will consist of Mastermind and Sequence. To enter, complete the form below. 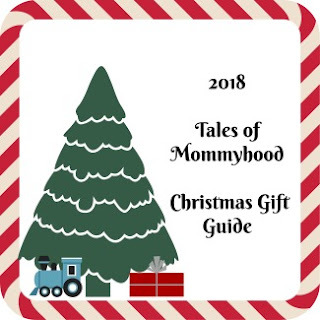 This giveaway is open to Canadian residents that are 18+. Good luck! My girls are young. We enjoy Chutes and Ladders or Guess Who. We love playing Clue on game night. We love to pay scrabble. We love to play Sorry and Skip-Bo. We love to play The Game of Life, or Clue! We all still like playing Yahtzee. Our favorite game in game night is monopoly. We like to play scrabble or monopoly. We like to play scrabble together as a family. Sorry or Life is our go to games.